While we are using nouns in English, we sometimes feel the need to use some additions to them/ before them. 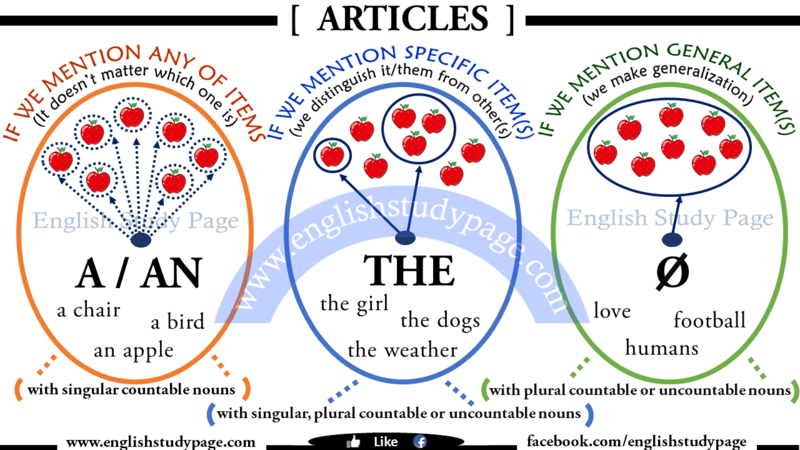 These additions are called “Articles” which is any of the English words “a“, “an“, and “the“. 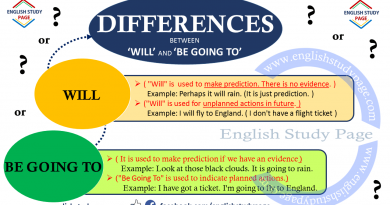 They identify whether a noun is definite (specific or particular) or indefinite (general or unspecific). When we are talking about a noun, we have to ask ourselves the following question. ‘ What Kind of a Noun Am I Describing?’. And then We can choose one of the articles according to our answer. If our answer is nonspecific noun, we use “a” or “an”. If our answer is specific noun, we use “the”. a. “a/an” is used in front of singular countable nouns ( a person, animal or thing ) which are not specific. She is a beutiful woman. It is an informal way. b. 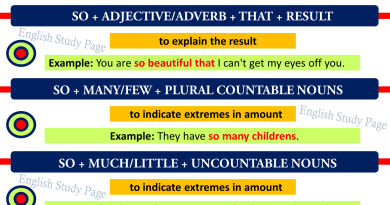 We don’t use “a/an” before uncountable or plural nouns. If a noun starts with a consonant sound (b, c, d, f, g, h, j, k, etc. ), “a” comes before the noun. 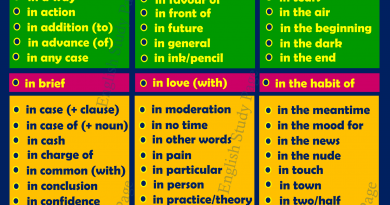 In english, sounds of the words are important for using articles “a/an”. Some nouns can start with a vowel letter. However, if its pronunciation ( the sound of the word ) starts with a consonant sound, “a” is used. Some nouns can start with a consonant sound. However, if its pronunciation ( the sound of the word ) starts with a vowel sound, “an” is used. You should put the books on the shelf. The shop is next to the hospital. Last week I watched the new animated movie. The soup was really delicious. Do you remember the woman I told you about? Give me back the pen I gave you yesterday. Please, select a book from the library. Good! Now, quikly turn the pages in the book. b. It is used in front of nouns that are only one in the nature like sun, moon, earth, etc. If we talk about collections of lakes, groups of islands ( archipelago ), and mountain chains ( not individual lakes, islands, and mountains), ‘the’ is used. d. It is used in front of adjectives when we talk about particular groups or people within society. e. It is used in front of musical instruments, cultural institutions and inventions like violin, piano, opera, radio, etc. We do not mostly use ‘the’ with TV as an abbreviation. Nationalities or ethnic groups that end in “-ans”, like “Americans”, ‘the’ is not usually used. g. It is used in front of a specific date while speaking but when we write it, we don’t use ‘the’. Writing: We’ll go to America on 8th August. i. It is used in front of newspapers, buildings, empire, dynasty, temples, holy books, special ships and train, public enterprises, institutions names. If the countries consist of emirates, provinces or federations, unions and kingdom ‘the’ is used in front of the countries. If the form of government is mentioned, ‘the’ is used in front of the countries. At the corner, turn left and go straight. If a direction follows a preposition, we must use THE. They had to go to the north. My country is in the west. April and May are very colorful months. I would like to ask you why my Grammarly named app did not correct the following sentence: the life is an a priori lost world war? What is the explanation of this? Or only the app is wrong. ?